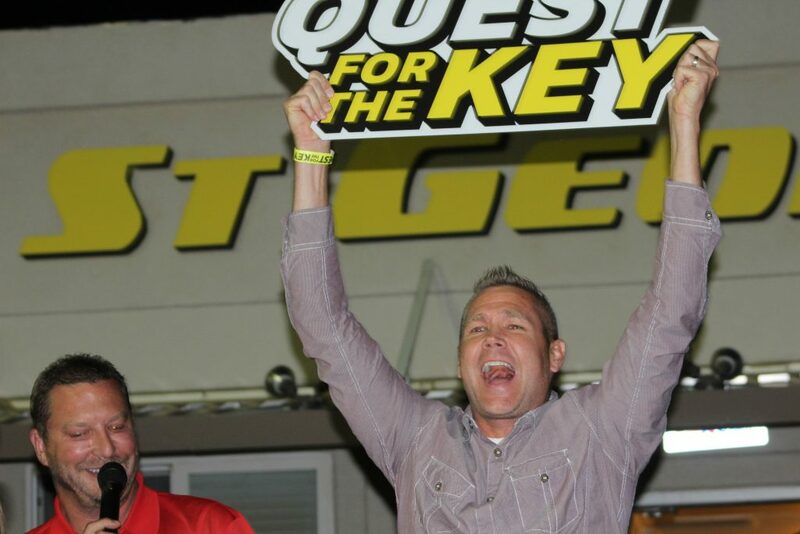 ST. GEORGE — Canyon Media’s biggest radio promotion ever, “Quest for the Key,” ended Thursday night. 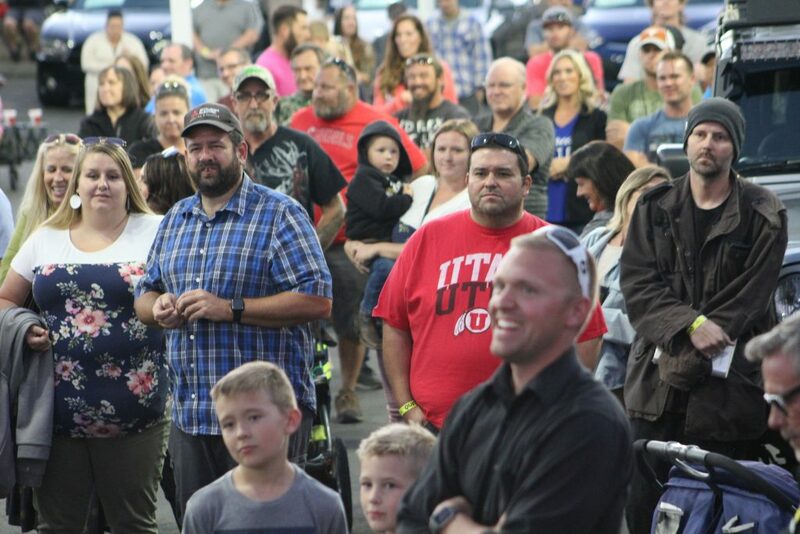 Sponsored by St. George Auto Gallery, the final giveaway of a monster rock-crawling Jeep took place in the company of a crowd of hundreds of spectators, loyal radio station listeners and hopeful families. 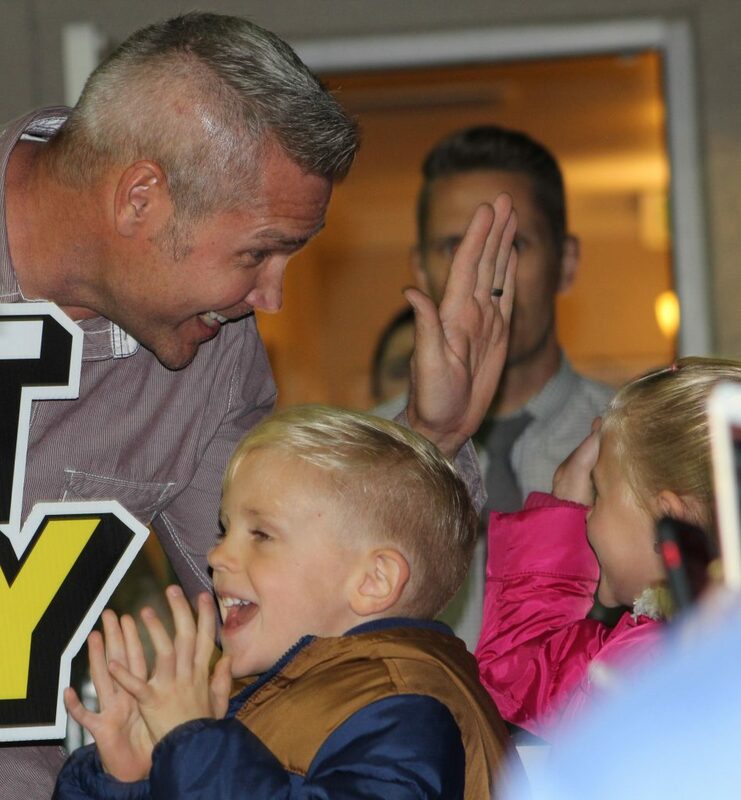 Although it was ultimately Hurricane resident Josh Wadsworth who won the prize, for his children, the new off-road beast was all theirs. Just moments after winning, Wadsworth’s daughter was tugging at her father’s shirt with serious intent. 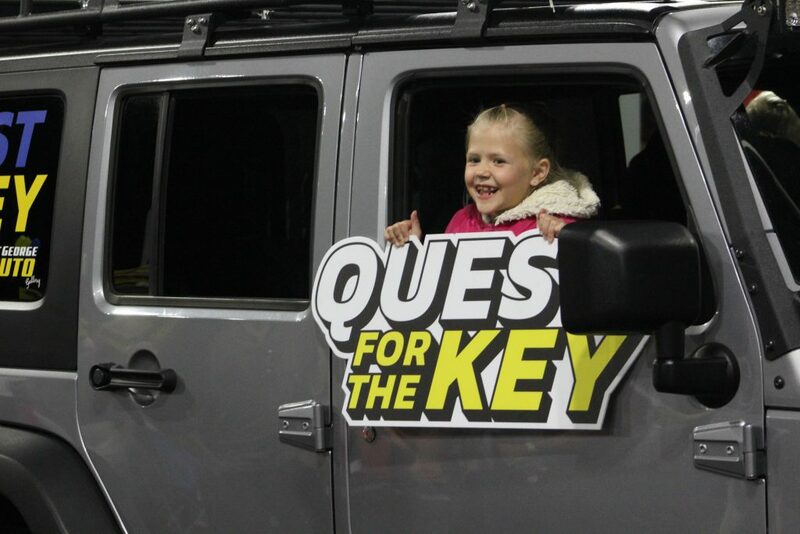 “Daddy are you gonna sell the Jeep?” she asked, but according to Wadsworth, selling the Jeep is the last thing he would do. “How can I sell it?” he said looking down on his daughter with loving eyes. 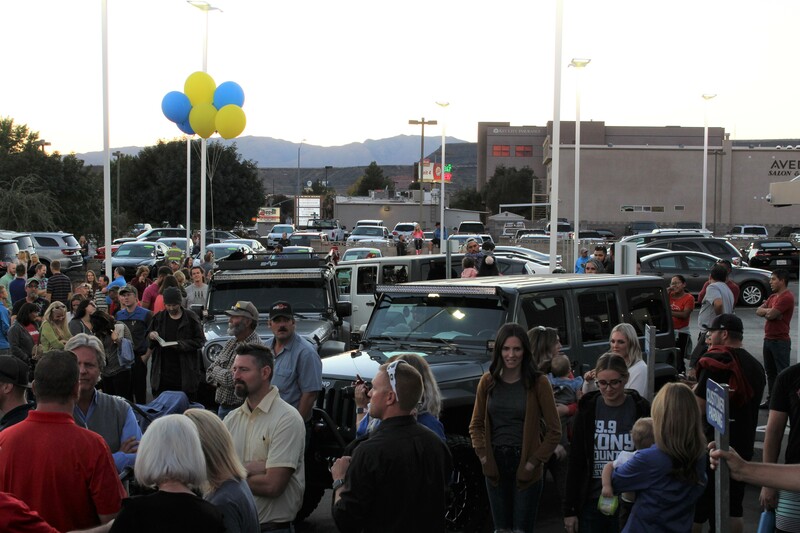 For the past two months listeners of Canyon Media’s Juan 104.1, Planet 105.1, 95.9 the Hawk and 99.9 KONY Country, Easy 101.5 have been traveling past the St. George Auto Gallery service center every day seeking the number posted on the outside of the building and eagerly waiting for the right moment to call in to each radio station’s different promotions. 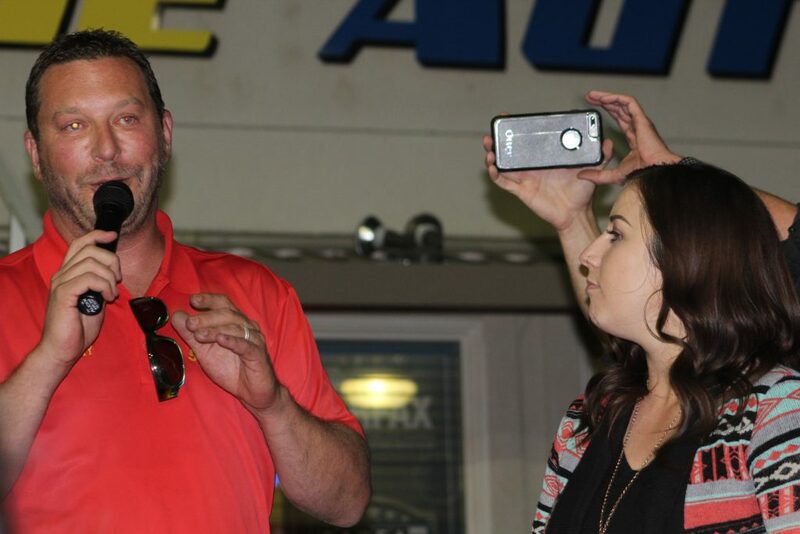 Many people, including Wadsworth, had their families fully involved in the contest by texting each other numbers and keeping everyone updated. 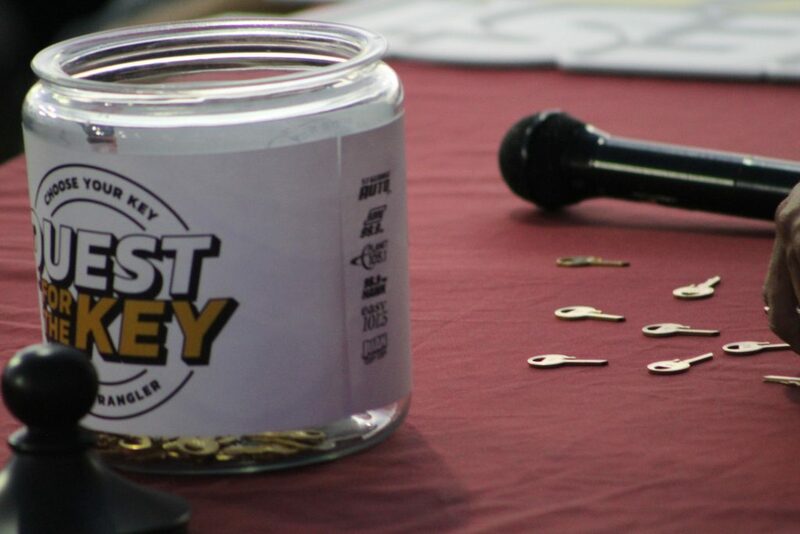 Thursday’s drawing was held in a reverse style format, where every key was drawn out of a jar and the final number pulled won the grand prize Jeep. 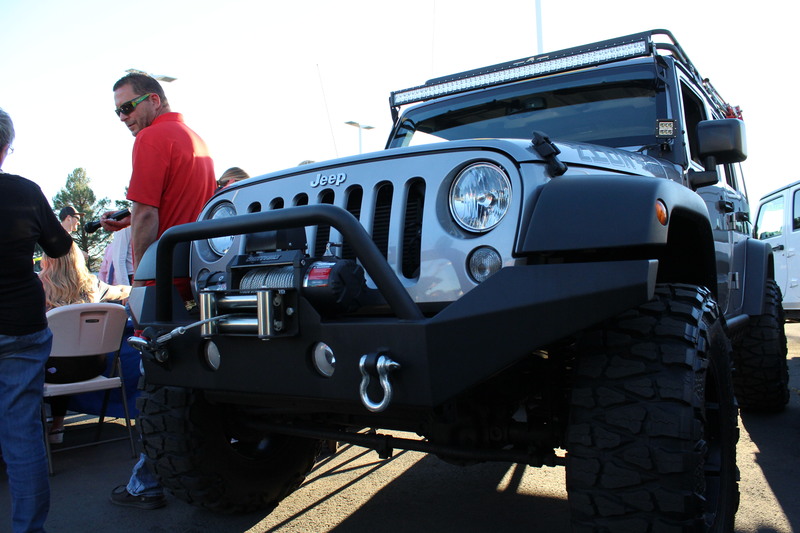 What was once a stock 2016 Jeep Wrangler Sport edition, underwent a full retrofit upgrade for the contest: the “Zion Four Wheel Drive Service Package,” which included new wheels, tires, a 4-inch lift, a rack, lights, new bumpers, a winch and even a handy shovel – just in case. 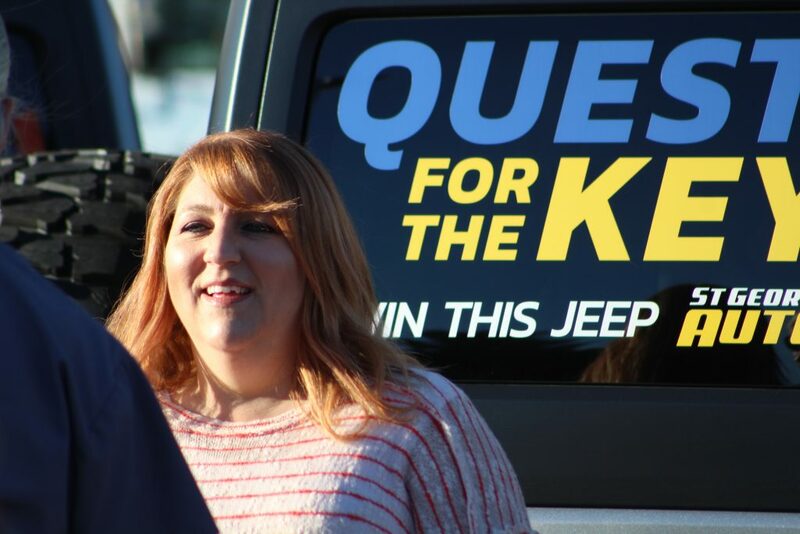 KONY radio personality Amy Chesley said she loves doing giveaways but added that “Quest for the Key” is by far the best one they have ever done. 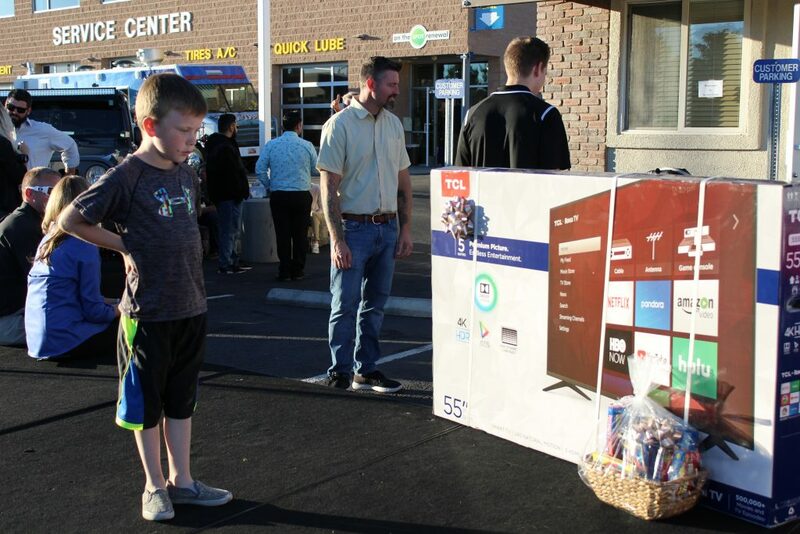 “We’ve never given anything away quite like this – it’s worth $50,000,” Chesley said. Jared Wheeler, general manager of St. George Auto Gallery, was thrilled at the turnout for the event and was almost at a loss for words. 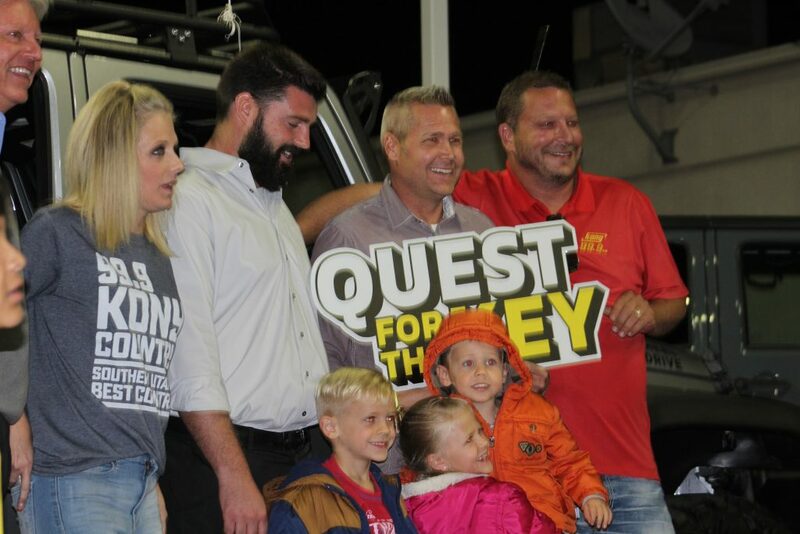 Wheeler said the idea for the contest was the brainchild of a couple guys in his service center obsessed with lifting Jeeps, going climbing and doing all that “fun, crazy stuff.” They thought the best way to show off their work was to give one away, he said. 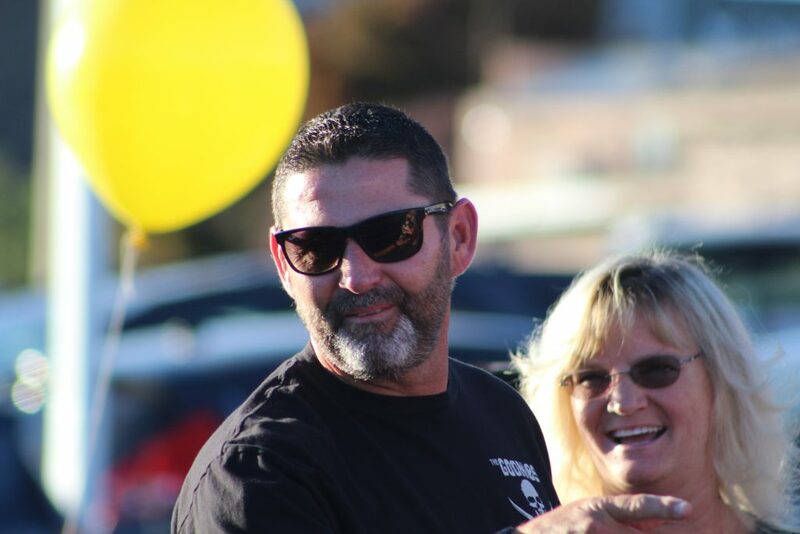 Wadsworth, a father of five, outdoorsy guy and avid Jeep enthusiast said he told his family ahead of time he thought he was going to be the winner, but he was still in shock as he sat in the driver’s seat, gently warning his kids leaping around the cab not to break anything. “It’s brand new; we’ve got to be careful,” he said. 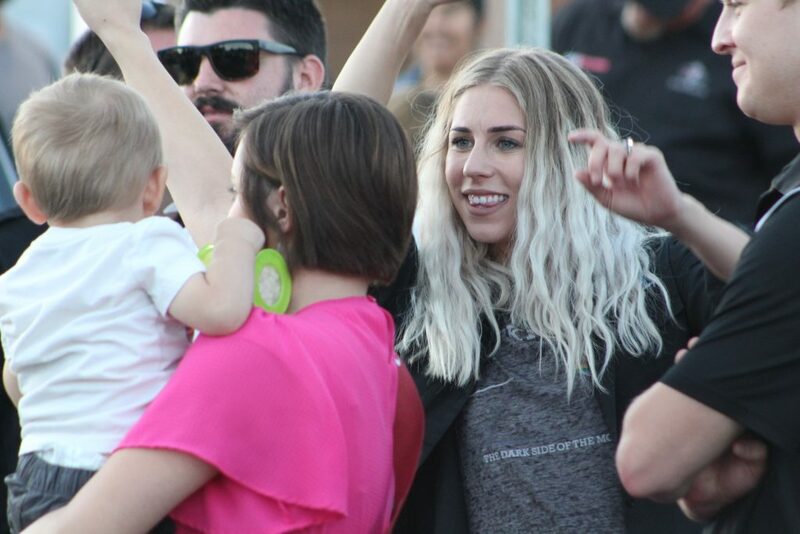 Every spring Wadsworth goes on trips with his father, who already owns an old Jeep, so he has always loved them and will be keeping it for sure, he said. 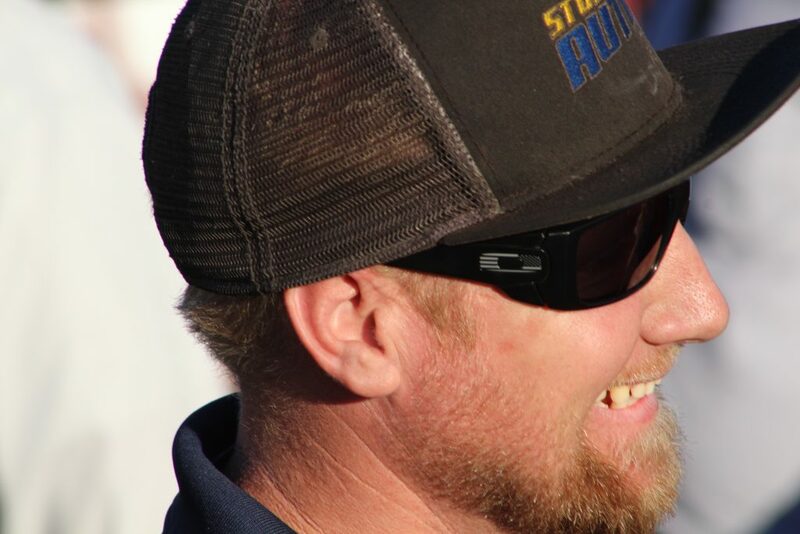 The first thing he planned on doing was taking it home to his wife, who was busy coaching their daughter’s volleyball game, but he said he might be taking it out this weekend deer hunting. “It’s like surreal. I’ve really never won anything in my life. I feel like I am in a dream or something,” he said. 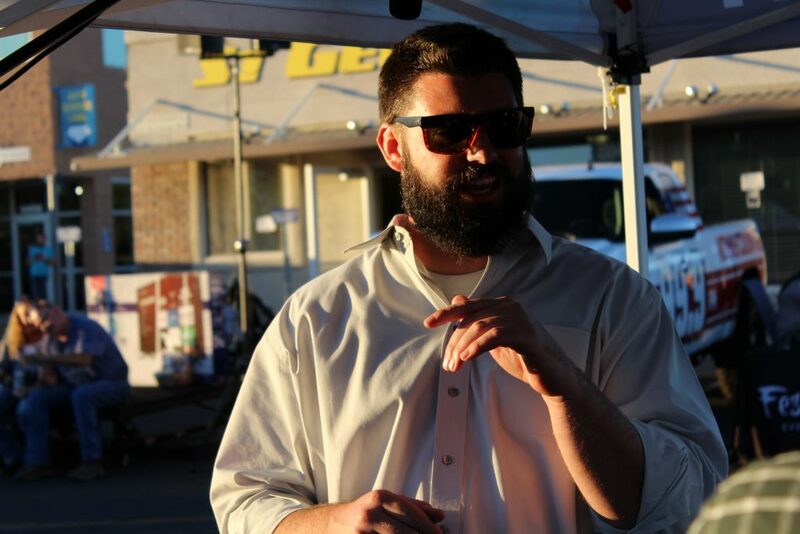 Since St. George Auto Gallery opened in 2009 at their first location on St. George Boulevard, their mission has always been of transparency and honesty, Wheeler said, adding that everyone that works there shares the same passion for customer service. 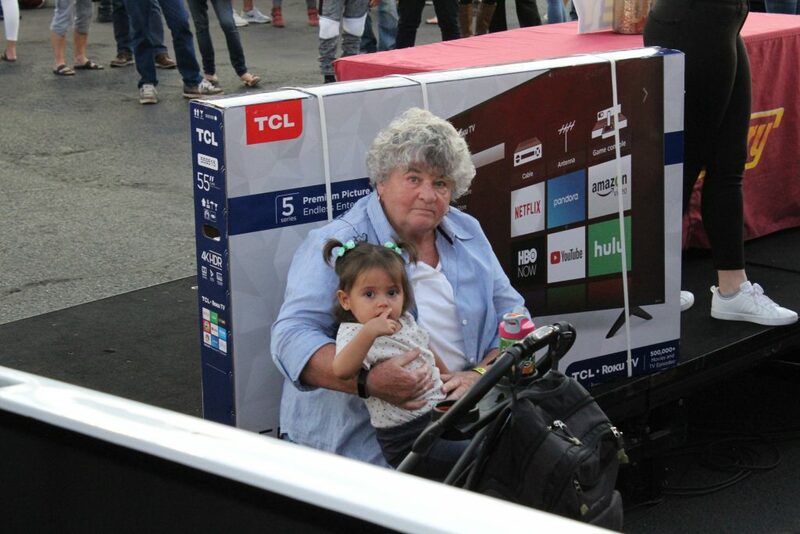 Everyone that qualified Thursday also went home a winner by receiving envelopes full of prizes, including cash from Planet 105.1 DJ Colleen Rue, and the second place winner took home a prize pack and 55-inch flat screen television. 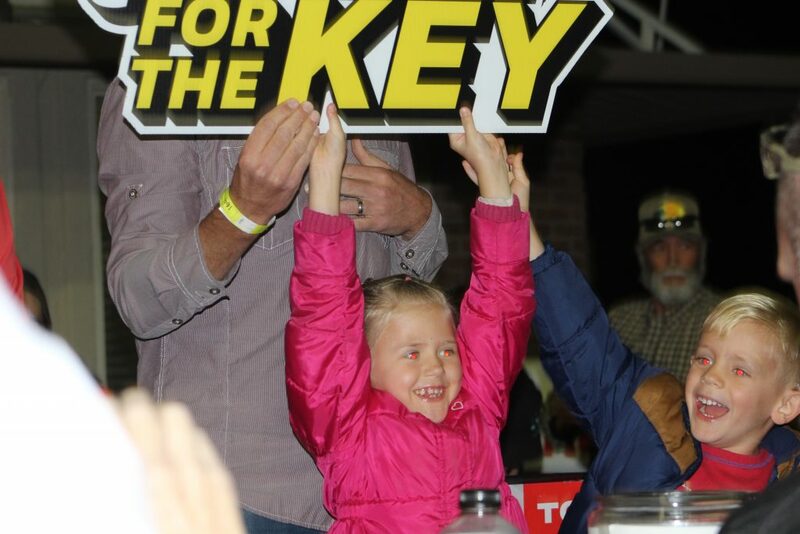 As a special bonus, every key that did not win was thrown back into a pool and pulled for one last drawing at the end that had one lucky winner give a bleep-worthy reaction that would be censored on air but still made it into several Facebook live feeds and drew a good laugh from the crowd. “Holy ****!” exclaimed Megan Kent, who walked away with 10 crisp hundred dollar bills. 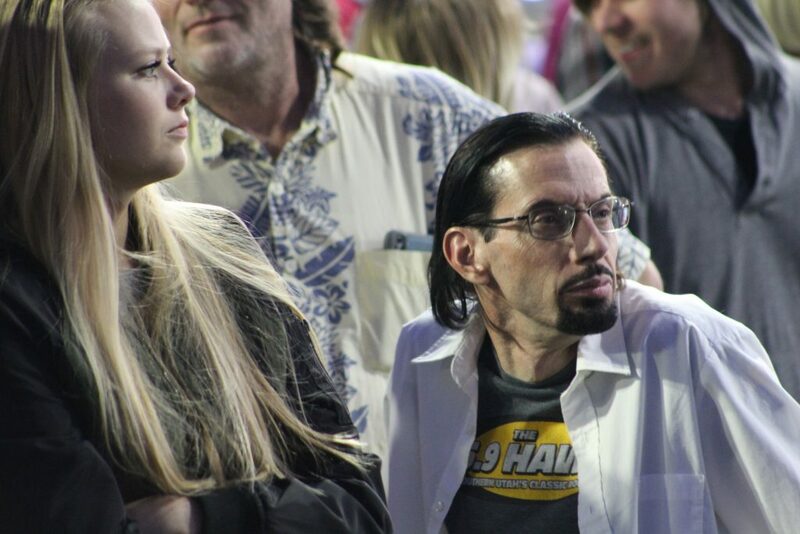 Kent, whose husband had also qualified but was away on a trip, was brought to tears of joy on stage. Wheeler wrapped up the evening with thanks for the crowd. 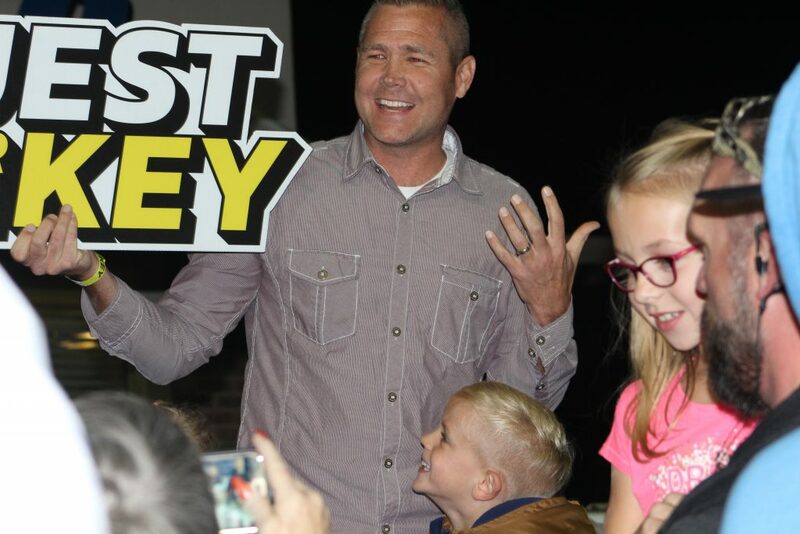 KONY DJ Marty Lane reminded the crowd that listeners will get another shot at a massive prize next week as the annual “Summit: Find the Rock” contest begins on Monday, with prizes valued at $30,000. 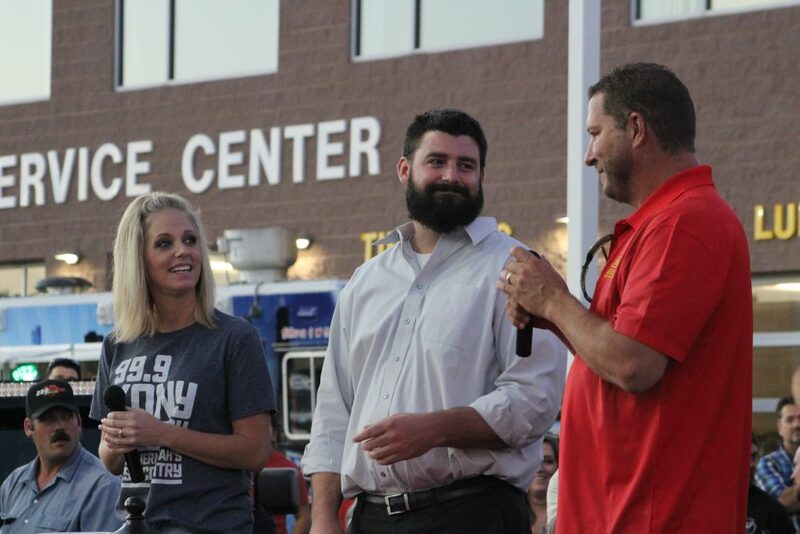 Stay tuned to all the Canyon Media radio stations and St. George News for the latest details. I’m really happy for all the winners here but, I’m sorry, I hope the winner doesn’t have to pay taxes on that $50,000. 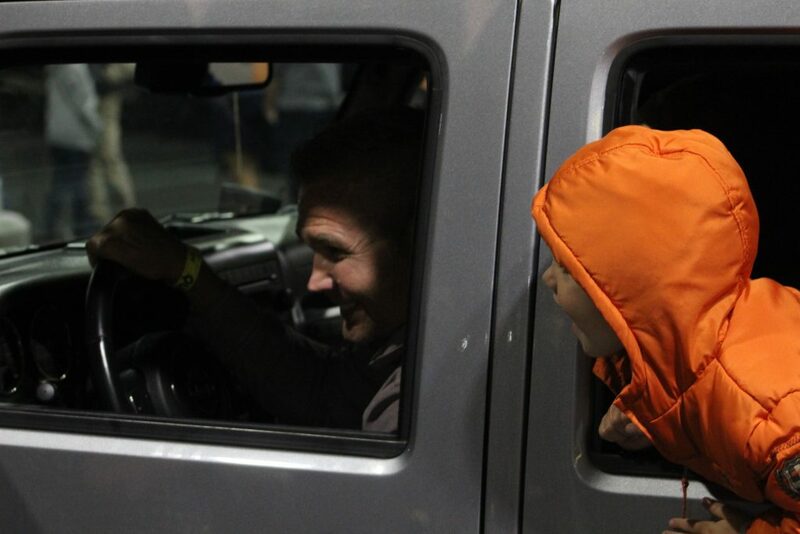 I was in the industry for years and can tell you, that Jeep is worth $31K , even less if he tried to trade it in because the trade-in value is ONLY for a stock 2016 Jeep and that Jeep is a 3 year old, bottom of the line base model, Most dealers wont give you anything for those “upgrades”. And I calculated those upgrades to be $6,000 at best. I can only guess they are valuing in some exorbitant labor charges. 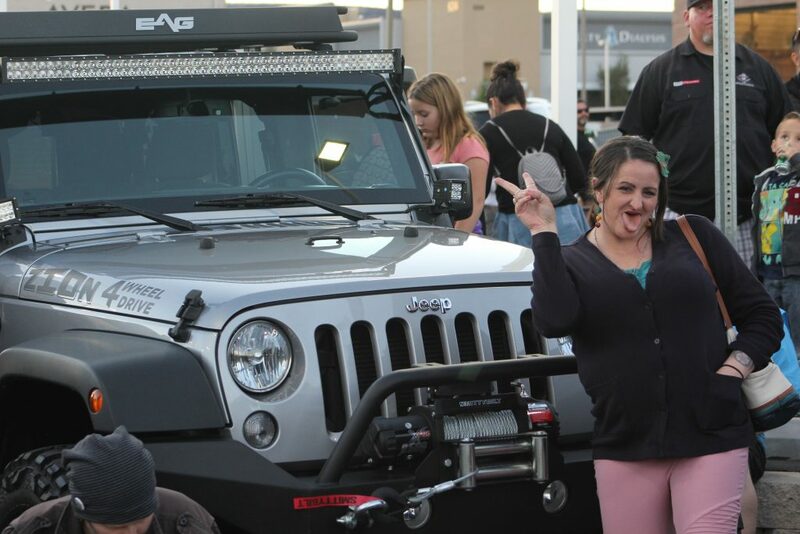 Again, I don’t mean any disrespect here, It’s a GREAT prize and a nice Jeep. But the “Value” is quite misleading.